A recent midweek break found us on the road to the lovely Elgin Valley, touted as an ideal destination for nature lovers and wine enthusiasts, and generally for anyone wanting a break from city life out in the country. The first surprise is its close distance to Cape Town. Under an hours drive from the city makes this a great destination when pressed for time or for those who don’t feel like driving for hours to their destination. And once you get there? The views and ambiance will have you believing you drove for hours to get to this little piece of paradise. So what do you do when you get to Elgin? There is lots … if you are an ardent gardener, explore the various specialist nurseries, or go late in October when some of the finest gardens in the country go on show during the “Elgin Open Gardens” weekend. Not to worry if you don’t have a green thumb as there is still plenty to keep you busy in Elgin. If you enjoy wine explore the Elgin Wine Route, a surprising find as Elgin is predominantly an apple growing region (so you might think a cider route is more appropriate). However, this is an extremely productive route with leanings towards the fruity flavours of Sauvignon Blanc, Pinot Noir and Shiraz. If you are here for a few days you should plan a lazy day of wine tasting accompanied by a delicious lunch at one of the wine estates. And overnight? 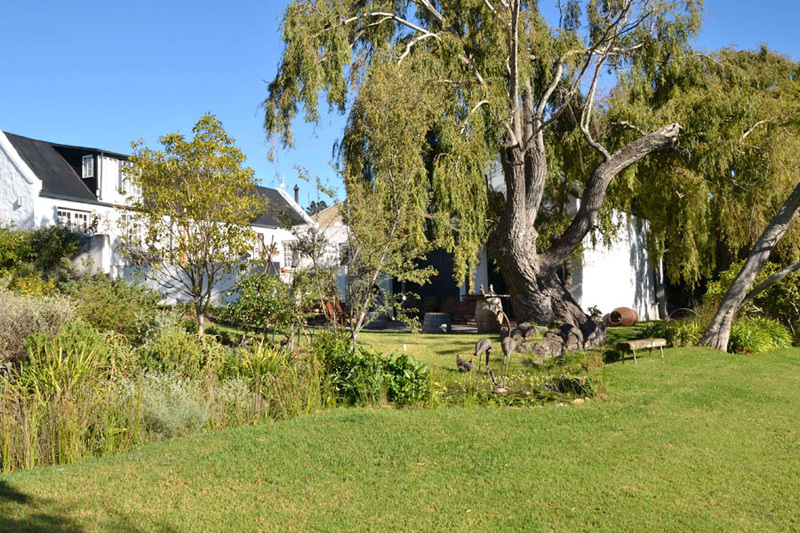 We chose to stay at Wildekrans Country House which is tucked behind the Houw Hoek Inn and offers various options – either Bed & Breakfast in one of their suites or, if you prefer to self cater, see if you can book their cottage. It sleeps up to four guests and looked ideal for a family with two kids. We opted for Bed & Breakfast and were warmly welcomed and shown to our suites. The suites were simply lovely! Understated decor with every amenity you could wish for, beautifully decorated and immensely spacious, we slept extremely well in utmost comfort. Big four poster beds with crisp cotton linen, big fluffy pillows … and nothing but the sound of the country to lull you to sleep! 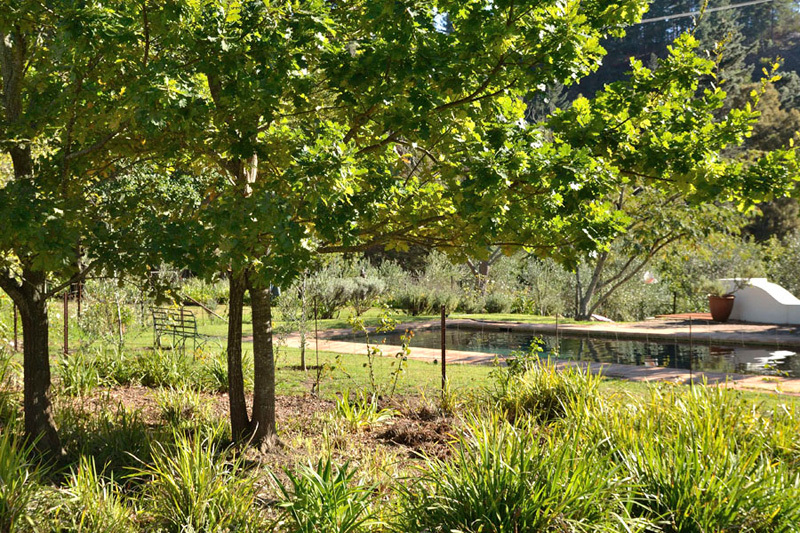 No stay at Wildekrans would be complete without exploring their award winning gardens. See our Wildrekrans photo-post here. 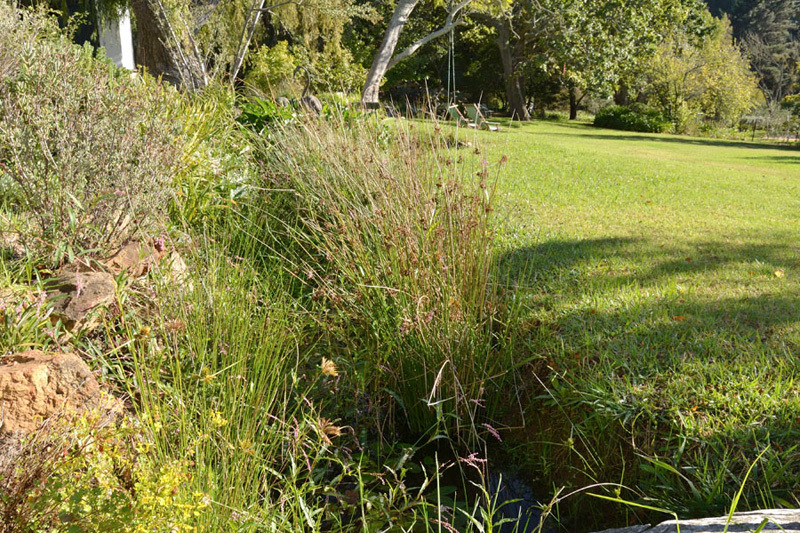 Featured in numerous magazines and part of the well known “Elgin Open Gardens”, the gardens at Wildekrans are simply stunning. Although we visited in Autumn which would not be “prime” garden visit time, we found the garden most charming and enjoyed our afternoon walkabout (with the chickens letting us know we were on their turf!) Beautiful sculptures and decorations, a lovely pool area to enjoy, an Olive Grove and meandering stream … you will love it and might not ever want to leave! Breakfast was superb. Served out on the patio on a warm mid-Autumn day with fabulous unobtrusive service from the lovely ladies of Wildekrans. A quick stop in their Barn which doubles as an Art Gallery and gift shop and I left armed with a superb bottle of Wildekrans Shiraz and a couple of artsy nik-naks – lovely to arrive home with a few gifts! Later, whilst chatting with the owner, Alison, we were given plenty of tips and advice about what to see in the area and a bit further afield. 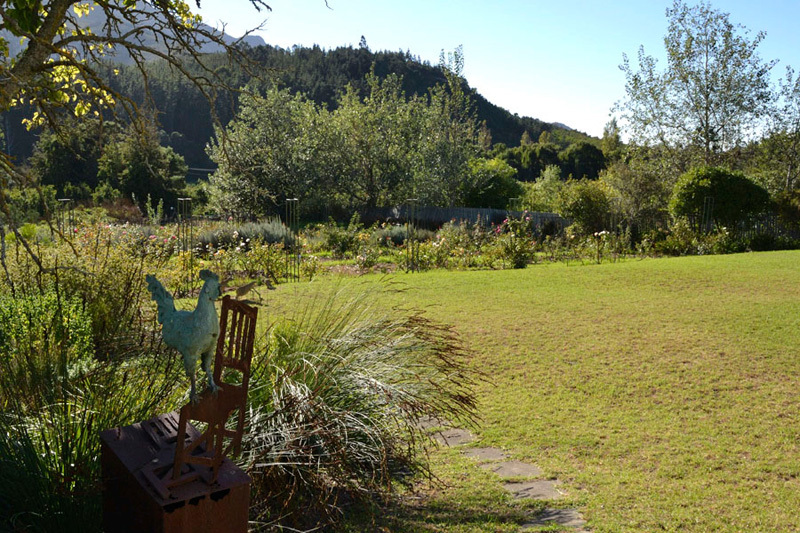 We also learnt that Wildekrans Country House is a two night stop on the four day slack-packing trail around the Groenlandberg – the “Green Mountain” Trail includes four star farm stays, delicious country food sourced from around the mountain and you will enjoy the views, fauna and flora of the gigantic Overberg. For those unable to take a full four days off work, day walks can be taken from Wildekrans Country House. 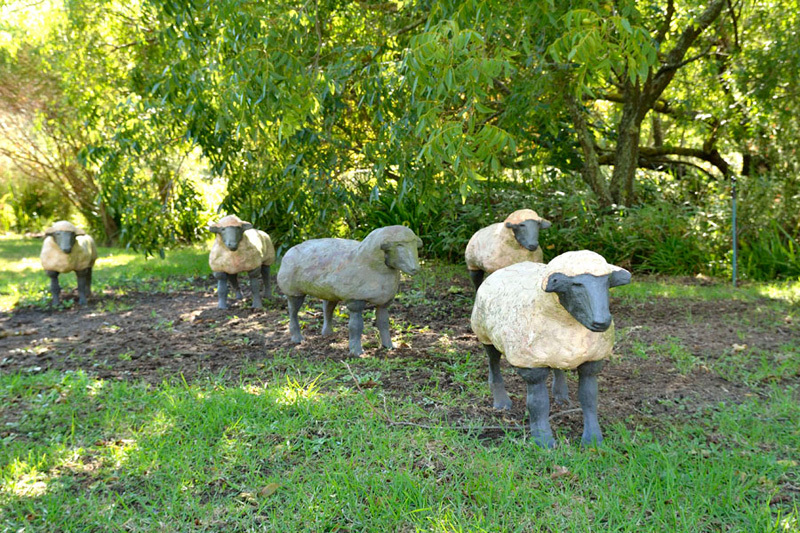 Highlights of the Green Mountain Eco Route include local gardens in Elgin Open Gardens weekends, local wine, the Groenlandberg Conservancy, the historical village of Houw Hoek, an art route in Villiersdorp, mountain bike trails, hiking trails, the Bot River Lagoon wetlands, Aasvoël Mountain and Blokkop Peak, and endless fynbos vistas. 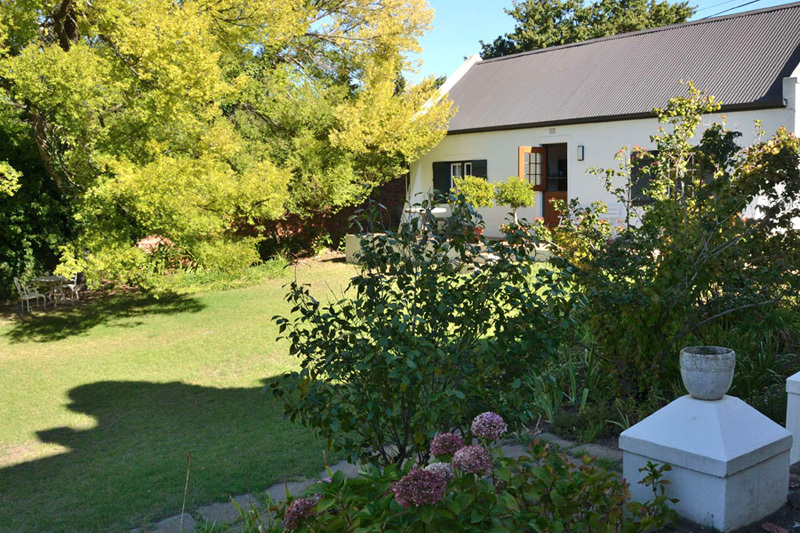 Wildekrans Country House is associated with the award-winning Wildekrans Wine Estate in Botrivier. Guests can enjoy these outstanding South African wines at the guest house or travel down the Houw Hoek pass and enjoy them at the Wildekrans Cellar. And finally when it was time to hit the road again, we left Wildekrans wishing we could have stayed longer … we will be back! To book a stay at Wildekrans Country House in Elgin see Wildekrans Country House for booking details and more photographs.